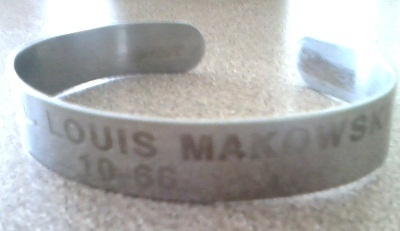 Back in May I wrote a blog entitled, “Memorial Day Remembrance” about a POW bracelet I used to wear during the Vietnam War in support of an American prisoner of war, Lt. Col. Louis F. Makowski. Wearing the POW bracelet in his honor became a symbol of strength, bravery and hope for me, and when I had the privilege of watching Lt. Col. Makowski arrive home on TV, my heart leapt with pride and thanks to God for bringing him safely home. It’s been almost 40 years since his release from that prison camp in Vietnam, where he was incarcerated for 6 ½ years. I’ve often wondered since then what became of him. So after the story was published, I decided to do some detective work and find out. I wrote him a letter and sent him a copy of the essay. I am happy to say I received a response from him and wanted to share the good news with you. I am pleased to report he is doing well. Now retired from the United States Air Force with the rank of Colonel, he lives a quiet life with his wife of 58 years, has four children and four grandchildren. Among other things, Colonel Makowski wrote that he has hope for the future and our country’s winning back our God given American values. My heart was humbled by his very kind words to me, and I thanked this courageous and wonderful man for taking the time to respond. The lesson he has taught me through this experience is no matter what your circumstances are and how hard life can get, be strong, be brave and be hopeful. You can survive the trials you go through and go on to live a happy life. 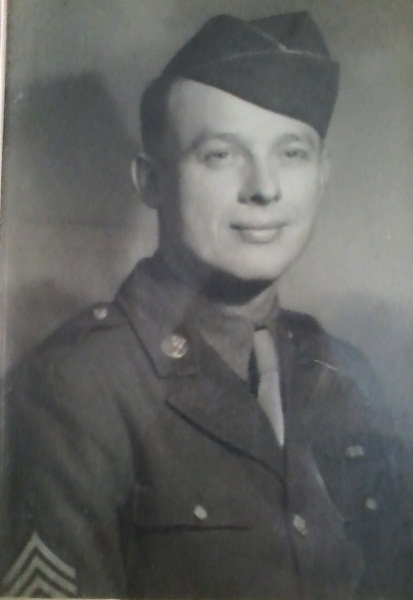 God bless you, Colonel Louis F. Makowski and all our military…and my Dad, Sargeant Albert Rylak, World War II veteran, deceased, and God bless America!